Poisson's ratio is the lateral contraction per unit breadth divided by the longitudinal extension per unit length. 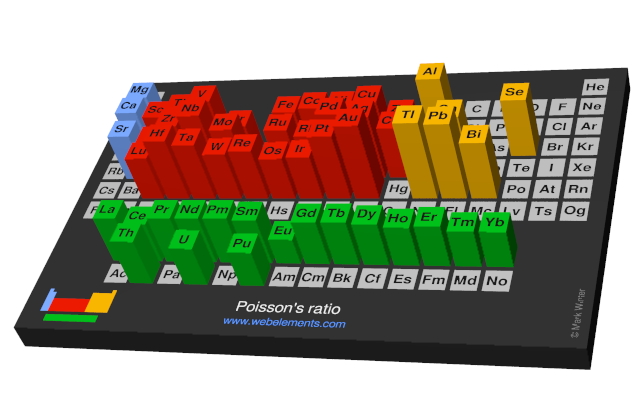 Image showing periodicity of the chemical elements for poisson's ratio in a periodic table cityscape style. 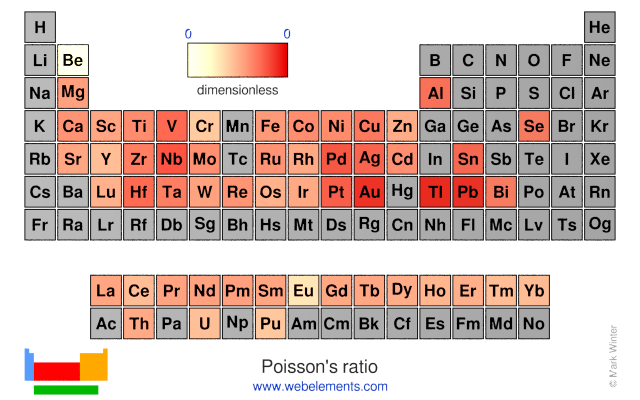 Image showing periodicity of the chemical elements for poisson's ratio in a periodic table heatscape style. 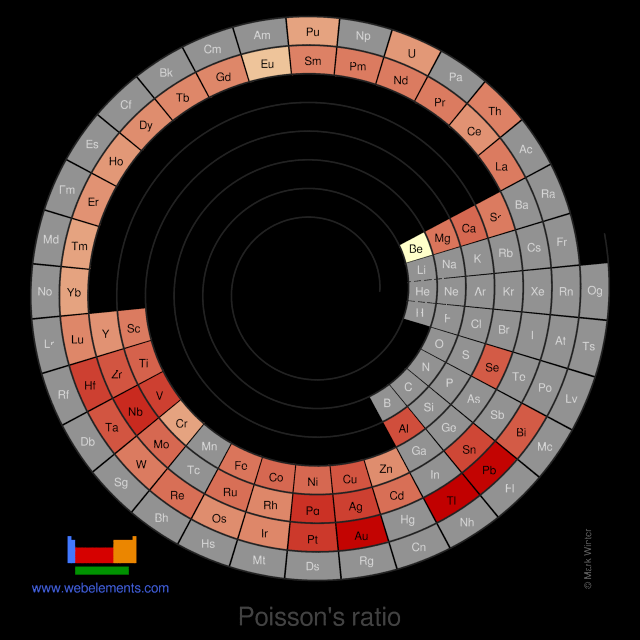 Image showing periodicity of the chemical elements for poisson's ratio in a spiral periodic table heatscape style. 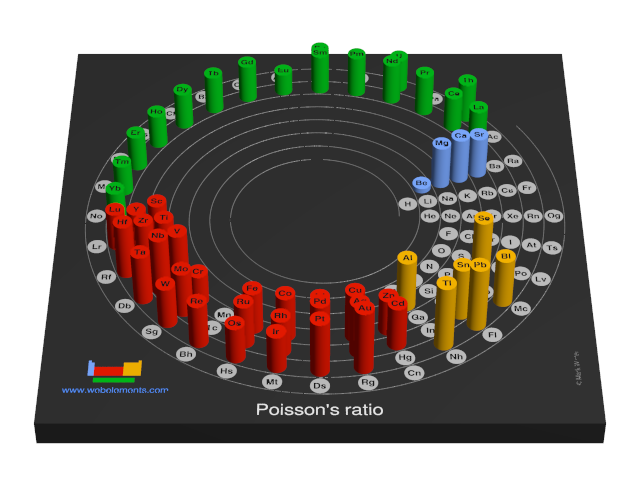 Image showing periodicity of the chemical elements for poisson's ratio in a 3D spiral periodic table column style. Image showing periodicity of the chemical elements for poisson's ratio in a 3D periodic table column style. Data are largely from references 1, 2, and 3. Data for most of the lanthanides were taken from reference 4. Some other data is in reference 5.